Robert Mealy is one of America’s most prominent Baroque violinists. He has recorded over 80 CDs of early music on most major labels. 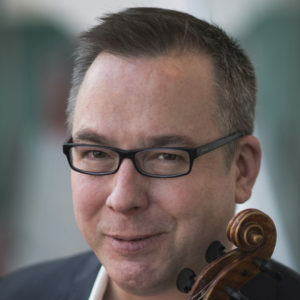 He is Orchestra Director for the Boston Early Music Festival and happily co-directs the seventeenth-century ensemble Quicksilver. Mr. Mealy is Director of Juilliard’s Historical Performance Department, and also taught for many years at Yale and Harvard. In 2004, he received Early Music America’s Binkley Award for outstanding teaching and scholarship.